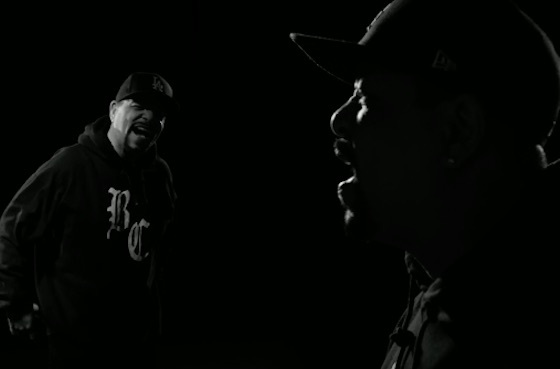 When he's not chilling with Juggalos or fighting crime in Law & Order: SVU, Ice-T spends his time fronting the pitch-perfect rap metal crew Body Count. Today, the group have released yet another pointed video with "No Lives Matter." The song is another aggressive bop built on chugging guitars and syncopated drumming, but it's Ice-T's provocative message that takes centre stage once again. As its title may suggest, Ice-T ditches identity politics and takes an intersectional approach to explore State oppression at large. The song goes beyond its trolling title to discuss some serious social issues. Watch the video for "No Lives Matter" below. Body Count are supposedly touring with Megadeth this year, though the dates have yet to be unveiled.